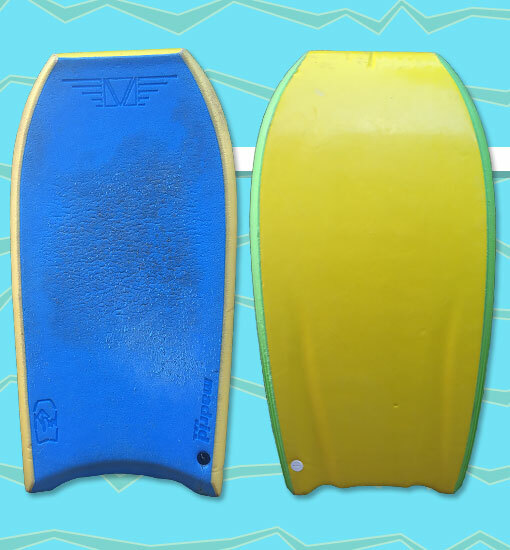 Madrid expanded their offerings in the early 1990s with boards like the Performer Lite. This board featured two interesting innovations: rolled nose construction and rail channels. The rolled nose consisted of the slick skin curving around the end of the nose in order to improve grip and increase the board's durability. The rail channels were three small grooves running lengthwise along the bottom third of the lower rail chine and were supposed to improve maneuverability. Photo: Nicole Giles.